The Power to Change grant will be used to cover the cost of 10 trainees and recruitment of two full-time staff. This has also unlocked a Key Fund loan which will help purchase properties for apprentices to renovate, creating live work experiences. Barnsley Community Build provides training and education in the construction industry, with opportunities for some of the most difficult to engage local residents, mainly long-term unemployed or young people not in employment, education or training. 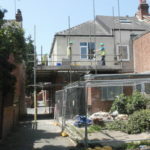 Receiving a Power to Change grant of £100,000 unlocked a £300,000 Key Fund loan for Barnsley Community Build, which meant they could simultaneously cover the costs of taking on trainees, employees and purchasing property for apprentices to renovate. Barnsley Community Build own and let single bedsit accommodation for people recovering from mental health issues. They also support the elderly by providing a venue for luncheon clubs and homemade meals delivery service form their community café. 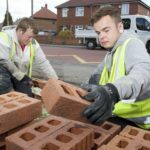 Barnsley Community Build is a charity based in Barnsley, South Yorkshire with fourteen years’ experience training and providing education in the construction sector for 16-24 year olds who are not in education, employment or training. Barnsley is an area of multiple deprivation and the number of people aged over 16 with no formal qualifications is 10% greater than the national average. Over the last three years, 73 apprentices achieved a full Level 2 Framework in General Construction with 84% of these moving into full-time employment afterwards. 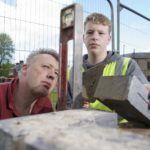 Barnsley Community Build goes beyond construction training. It provides community rented accommodation for vulnerable people, rented premises for local small business, a community café with meals on wheels for elderly residents and opportunities for volunteering in the café. Power to Change and Key Fund have provided the finances that have created life changing opportunities for 10 plus unemployed young adults, learning new skills, confidence and employment with a future.